I've been a fan of Chairish for some time when looking to score vintage and one-of-a-kind finds, so I was thrilled when they gave me the challenge to create a room based off one of their fab accent chairs. I was immediately drawn to this green velvet mid-century chair and went from there! 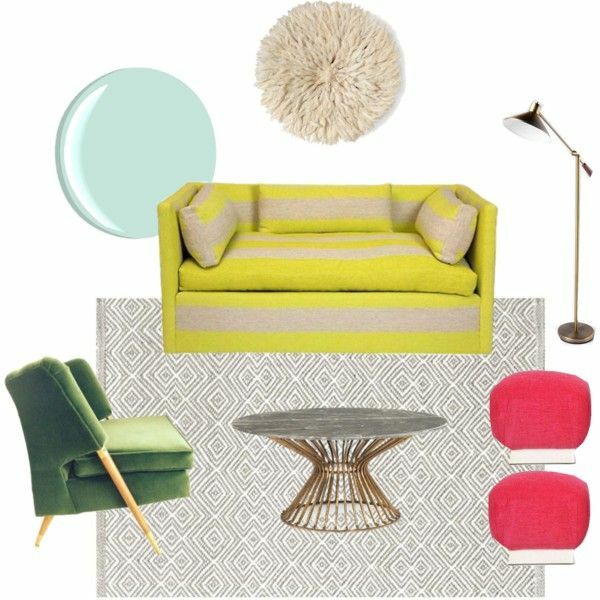 You guys know I'm a big fan of color, and all of my favorite finds were bright, so I combined them and went all out in this room. To balance out these strong pieces I grounded them with a neutral rug and brass accent pieces and kept the art subtle. I imagine this as a chic seating area or even a fun home office. What do you think? Make sure to check out their website and share some of your favorite Chairish finds!